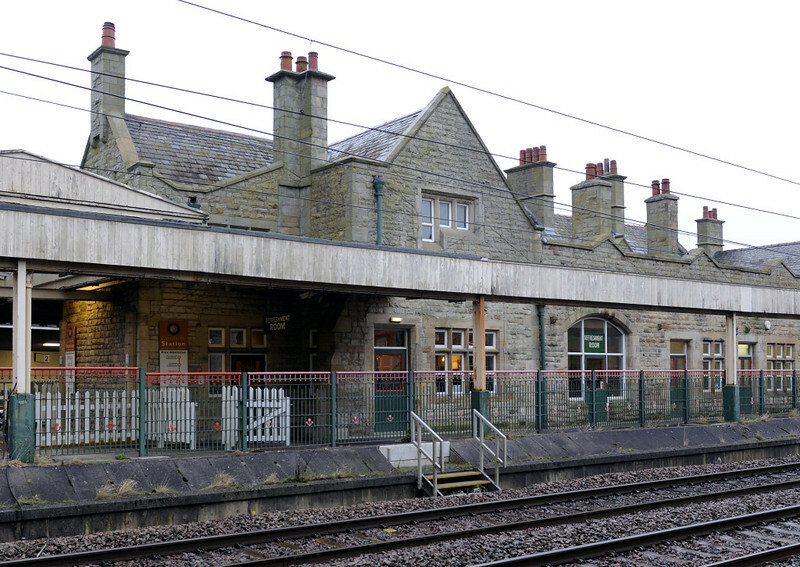 Carnforth in north Lancashire was once a very busy railway town. In 1945 its station was the setting for much of David Lean's classic film 'Brief Encounter', The station is still open, but is also now home to a visitor centre which celebrates the film as well as the town's railway history. Welcome to Carnforth Station visitor centre! Thurs 16 February 2012. The centre occupies these buildings, which date from the station's rebuilding in 1880. In later years they became derelict and were very nearly demolished. But they were rescued and restored, and the visitor centre opened in 2003. The 125mph West Coast Main line from London to Glasgow is in the foreground, with a refuge for track workers.